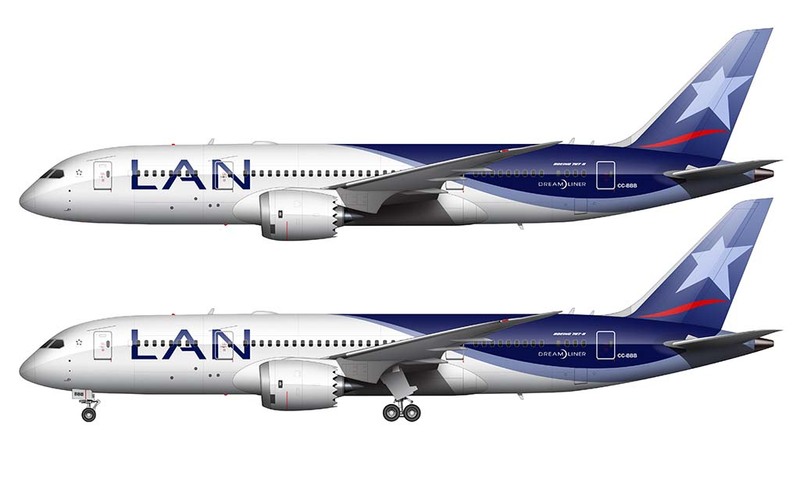 One of my favorite airline color schemes flying around these days just happens to be the iconic blue and white LAN livery. 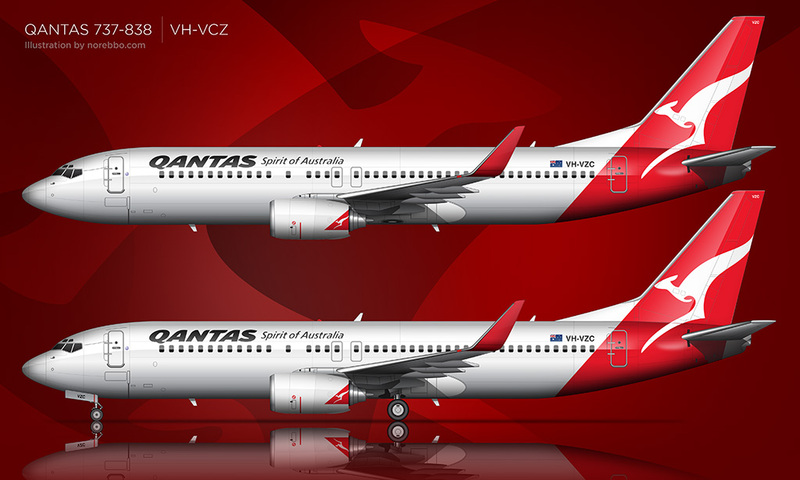 Combine that with the sleek shape of the new Boeing 787-8 Dreamliner, and well…I like. Anyway, this particular illustration is the latest in my growing collection of stock airliner illustrations, and I’m happy to add it to the fleet. It’s a good lookin’ airplane, don’t you think? The large “LAN” titles at the front of the fuselage balance out the color-heavy tail section of the aircraft very nicely, and it’s a nice lead-in to the two-tone sweep of blue that begins at the mid section of the aircraft and extends all the way to the tail. 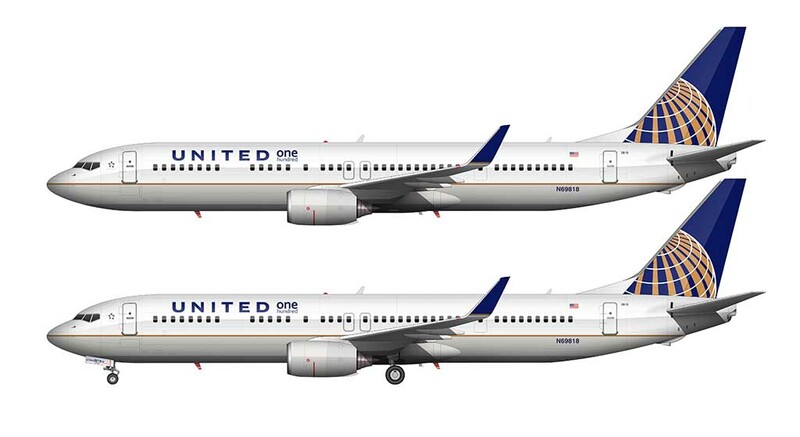 There are some other airlines which have a similar layout as this livery (UPS, for example) that doesn’t balance as well as LAN – mainly because the UPS titles are too small and become overpowered by the visual weight of the rear half. Most of this illustration was created in Adobe Illustrator, and I finished it off in Photoshop for the finishing touches (subtle shadows, part line details, etc). My goal when I first started creating airliner art was to stay 100% vector-based – and that failed quickly as I discovered how inefficient Illustrator is when it comes to shadows and subtle gradients. Long live Photoshop! Dude, you have only one mistake on the livery. LAN is a One World member and you put a Star Alliance logo on the plane. Oops! Yes, you are right – sometimes it’s hard to keep track of the little details like that.